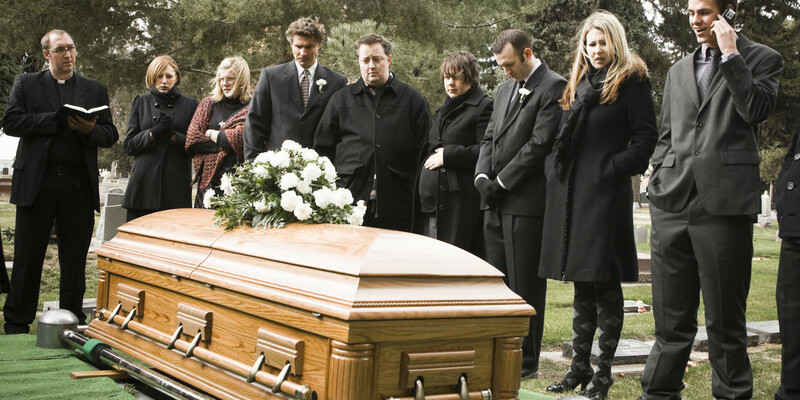 Daniel 12:1-3 What happens when we die and after we die? Daniel 12:1-3. At that time Michael shall stand up, the great prince who stands watch over the sons of your people; And there shall be a time of trouble, such as never was since there was a nation, even to that time. And at that time your people shall be delivered, everyone who is found written in the book. And many of those who sleep in the dust of the earth shall awake, some to everlasting life, some to everlasting contempt. Those who are wise shall shine like the brightness of the firmament, and those who turn many to righteousness, like the stars forever and ever. (New King James Version). From the context of the passage it is very clear to see that the subject of time is referring to the Second Coming of Christ when Michael stands up. It refers to time of trouble and just before the Second Coming and the resurrection. The promise is to all true believers in Christ that all shall be delivered everyone who is found written in the book (of life of the Lamb – Rev 13:8). The subject I would like to concentrate on in this text is the resurrection to life and the resurrection to everlasting contempt. Why? Because the majority of Christian believers do not believe in the resurrection, at the Second Coming of Christ at the end of the world. So here is a little Bible study related to the resurrection. How did death begin with the human family? God commanded to Adam and Eve in Gen 2:17 but of the tree of the knowledge of good and evil you shall not eat, for in the day that you eat of it you shall surely die. Gen 3:6 So when the woman saw that the tree was good for food, that it was pleasant to the eyes, and a tree desirable to make one wise, she took of its fruit and ate. She also gave to her husband with her, and he ate. Why do men have to die? Rom 5:12 Therefore, just as through one man sin entered the world, and death through sin, and thus death spread to all men, because all sinned. Eccles 12:7 Then the dust will return to the earth as it was, and the spirit will return to God who gave it. (Spirit in this text means the breath of life and not the soul). Can we praise God when we die? Psalm 6:5 For in death there is no remembrance of You; In the grave who will give You thanks? What will happen with our knowledge and wisdom at death? Eccles 9:5.6.10.For the living know that they will die; but the dead no nothing, Verse 6, Also their love, their hatred, and their envy have now perished. Verse 10 for there is no work or device or knowledge or wisdom in the grave where you are going. How long shall we be in the grave? Job 14:10.12. But man dies and is laid away; indeed he breathes his last and where is he? So man lies down and does not rise till the heavens are no more. They will not awake nor be roused from their sleep. When will the heavens be no more? 2 Pet 3:10 But the day of the Lord will come as a thief in the night, in which the heavens will pass away with a great noise, and the elements will melt with fervent heat; both the earth and the works that are in it will be burned up. Which two resurrections occur at the end of the world? John 5:28.29. Do not marvel at this; for the hour is coming in which all who are in the graves will hear his voice and come forth – those who have done good to the resurrection of life, and those who have done evil, to the resurrection of damnation. How will the believers be resurrected? 1 Thess 4:16.17. 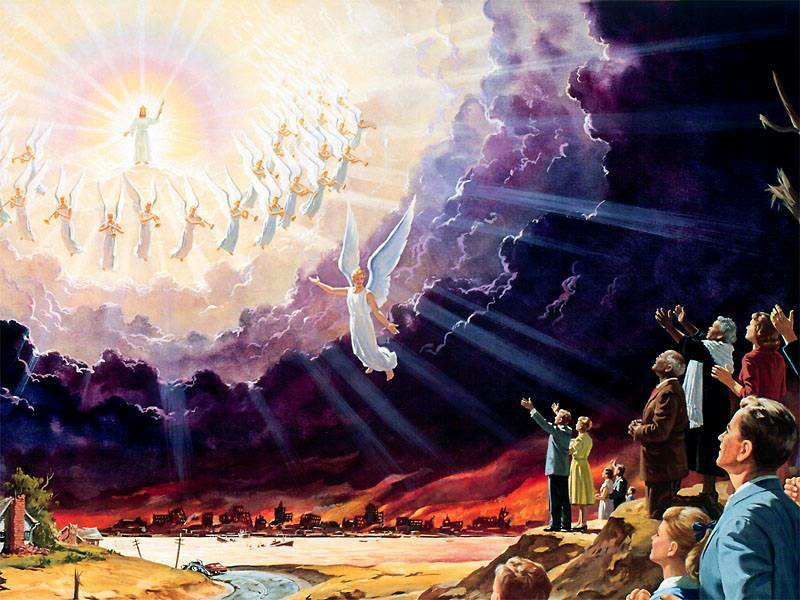 For the Lord himself will descend from heaven with a shout, with the voice of an archangel, and with a trumpet of God. And the dead in Christ will rise first. Then we who are alive and remain shall be caught up together with them in the clouds to meet the Lord in the air. Remember in this text that we do not meet the Lord on the ground but in the air. And in Rev 1:7 it says every eye shall see him when the Lord Jesus comes. What happens to all unbelievers at the Lord´s coming? 2 Thess 2:8 And then the lawless one will be revealed, whom the Lord will consume with the breath of His mouth and destroy with the brightness of His coming.